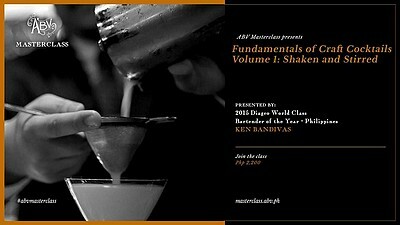 A premier bartending and mixology program for enthusiasts, ABV Masterclass' Fundamentals of Craft Cocktails Volume 1: Shaken and Stirred is the very first class made especially for enthusiasts who want to take their cocktail experience to the next level. Learn the basics of how to make some of the most popular cocktails. On August 20, 3:30 p.m., expect an afternoon of learning, drinking, and meeting new friends!